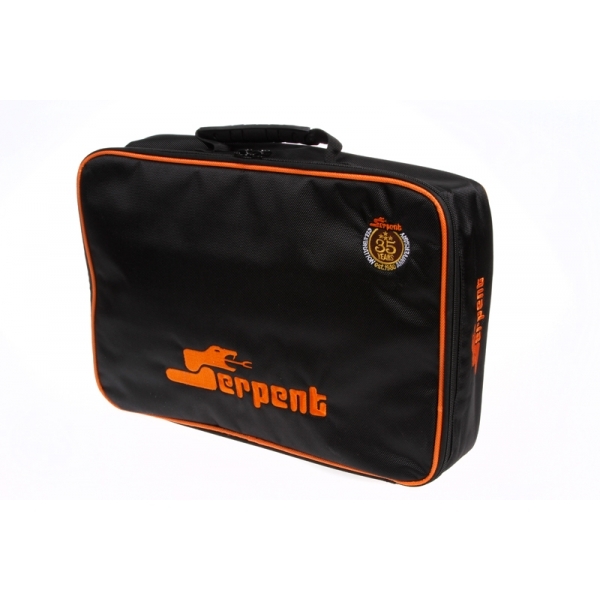 Stylish Serpent laptop size bag in black with orange lining, orange Serpent logo embroided as well as the 35th Anniversary logo. Strong nylon carrying handle and durable zip. Size: 44x30x9 cm Great bag to transport your 1/10 or 1/8 onroad cars, or other (rc related) materials.